Latin America Reflections is a Latin and Caribbean focussed company in The Netherlands for over more than 20 years with a broad network. We manage a platform that offers sales & support to the Dutch travel trade. We assist with product suggestions, compose travel itineraries and can make booking arrangements. 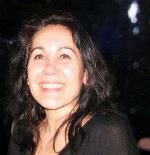 Monique has experienced a successful career as a travel consultant for more than 15 years. Her primary focus has been in sales performance and leadership. 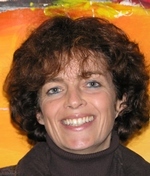 During her working career she maintained good business relationship with the Dutch travel trade. Monique is a personable and energetic facilitator, an enthusiastic and committed partner who is focused on results. In 2006, she started Latin America Reflections. Hetty is a custom solutions expert. Her delivery style is inspiring, focused and flexible to meet the unique needs of each client. Hetty holds a marketing degree from the Hotelschool The Hague and started in 1992 her own company: Caribbean Reflections dedicated to hotel representation and sales & marketing. She is skilled in creating meaningful sales opportunities and has earned a reputation in helping organizations and accomplish goals.